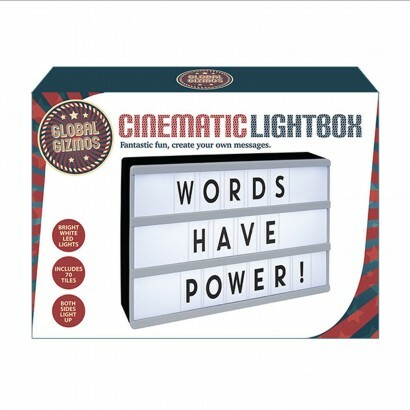 Make a statement and then see it lights with this retro cinema styled light box! Complete with 71 letter and symbol acetate tiles, you can write messages from the motivational to the celebrational and everything in between. 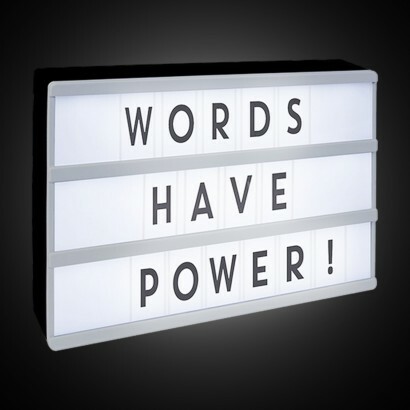 Ideal for special occasions, for themed messages or even just "get milk", this retro lightbox looks great in all rooms around your home illuminating your message with bright white LEDs. One: Q, U, X, Z, 1, 2, 3, 4, 5, 6, 7, 8, 9, 0, @, &, #, !